Dr. Tobin Hanspal was awarded the "Sturm & Drang Prize" 2018 for his publication "Once bitten, twice shy: The power of personal experiences in risk taking". The paper was co-authored with Steffen Andersen and Kasper Meisner Nielsen. It has been accepted for publication by the Journal of Financial Economics. In the paper, the authors study the impact of negative financial experiences of individuals in the past on their current risk-taking. Using data from individuals who have inherited a portfolio of risky assets, the economists show that people with negative personal experiences not only shun the risk of investing in new assets, but also actively sell risky assets in their portfolios. For more information about the winner, please click here. Since 2012, the "Sturm & Drang Prize" has been awarded for the best publication by a young researcher of the Faculty of Economics and Business Administration. Outstanding publications are crucial for an academic career. This prize is given in recognition of exceptional publications by young researchers, and provides them with an effective public platform for presenting their research results. Furthermore, the prize draws attention to the opportunities and high potential of young researchers at Goethe University. The "Sturm & Drang Prize" comes with EUR 1,500 in prize money and is awarded once a year. Dr. Florian Hett “Bank Rescues and Bailout Expectations: The Erosion of Market Discipline During the Financial Crisis” (co-author Alexander Schmidt). 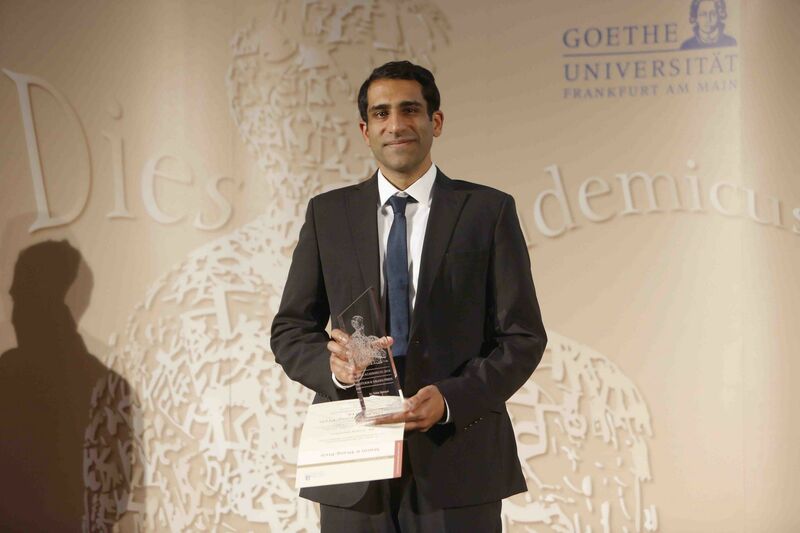 Andrej Gill was awarded the 2016 “Sturm & Drang Prize” for his publication “Incentive-based capital requirements” (co-author: Christian Eufinger). André Gröger was awarded the 2015 "Sturm & Drang Prize" for his publication "Internal Labor Migration as a Shock Coping Strategy: Evidence from a Typhoon" (co-author: Yanos Zylberberg). More information about the winner. Ctirad Slavik: “Machines, buildings, and optimal dynamic taxes” (co-author: Hakki Yazici), Journal of Monetary Economics, Vol. 66, 2014, 47–61. Dr. Shafik Hebous: “Estimating the Effects of Coordinated Fiscal Actions in the Euro Area”, European Economic Review, Vol. 58, 2013, 110-121 (co-author: Tom Zimmermann). Adrian Buss and Grigory Vilkov: “Measuring Equity Risk with Option-Implied Correlations”, Review of Financial Studies, Vol. 25, 2012, 3113-3140.